Biomat products are a favorite in wellness professional treatment room, doctor’s offices, and yoga studios around the world. All three types of professional settings have something in common – an interest in the natural flow of human bodies’ energy as a healing mechanism. Whether you offer Reiki, medical healing, or yoga, a fully functioning energetic body will enhance your customers’ experience. 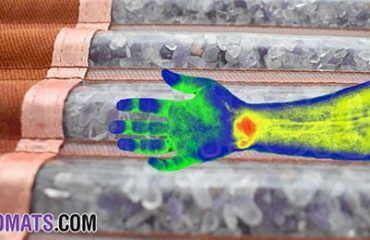 Biomat technology uses technology to recreate ancient healing practices. Healers know that energetically balanced and healthy tissue is empowered to employ the body’s natural healing processes more completely. 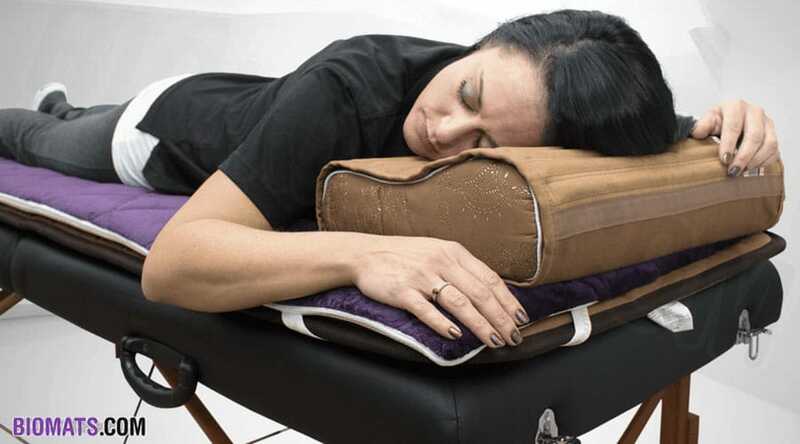 Biomat Professional and Biomat Pillow are commonly used in professional treatment rooms atop a massage table or an exam table. Biomat professional is also a great addition to the yoga room floor. Biomat Professional is long enough to provide full body benefits and Biomat Pillow provides a more gentle and cooler far infrared and negative ion experience. The Biomat Mini and Biobelt™ are regularly used in professional treatment rooms to treat specific body parts or to combine with the Biomat Professional to wrap body parts in far infrared therapy. Genuine Biomat products use only the finest high-quality natural amethyst and tourmaline crystals. Due to this commitment, the result is the best far infrared and negative ion benefit. The Biomat® Professional uses 18 pounds of high-quality crystal to cover the entire surface of the mat. It is the first choice of professionals who want to offer the advantage of the genuine and original Biomat® products in their treatment room. Richway (the owners of the original Biomat technology) has taken the time and effort to ensure that the Biomat meets compliance with the US FDA as a 510k Medical Device. I have a bio mat professional and it is great to lay on for a few hours or short naps. I felt the same way with regard to being uncomfortable for all night sleep. It is a bit firm to lay on. I used a blanket at first between me and the bio mat but that didn’t work well. Someone told me about the quantum energy pad and I ended up trying it. Now, sleeping on the biomat is easy and comfortable. I still use the biomat without the quantum energy pad when taking naps and shorter sessions. But sleep, quantum and biomat together is great.